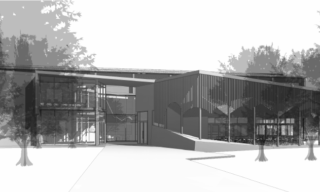 We recently came on-board alongside Architect Tomas O’Malley to assist Macadamias Australia with a proposed two-storey industrial and commercial complex. The Bundaberg development includes a processing facility, office area, and tourism facility. Our team provided Energy Efficiency reporting which covered a preliminary design assessment, a detailed Deemed-to-Satisfy report, and Form 15 Energy Efficiency certification. We used the NCC glazing and lighting calculators to ensure compliance of glazing specifications and lighting energy use respectively. The facility’s façade is almost entirely glass, which made glazing for the western side particularly challenging. We also ensured that the wall/roof/ceiling insulation was adequate, and specified the mechanical services performance requirements (air conditioning, ventilation, security, etc.). BE Collective’s Brad Head & John Tuxworth attended the recent reopening celebration of the historic Empire Theatre. Brad & John were guests of the theatre in recognition of BE Collective’s contribution to the $6.32M Heritage refurbishment, completed 22nd March 2019. Preserved elements of the heritage listed theatre include the elegant art deco proscenium arch, decorative sconces, and bomber-light, dating back to 1933. The 1500 Seat theatre now incorporates low level, low displacement air-conditioning, and excellent sound engineering. A key supporter of the theatre is Heritage Bank. Heritage is Toowoomba born & bred – and was awarded Bank of the Year for customer satisfaction in 2018. Heritage’s CEO Mr Peter Lock proudly opened the evening’s proceedings. 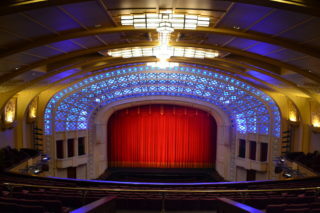 Hutchinson Builders completed the refurbishment, adding the Empire to their catalogue of theatre work which now includes the Palais Theatre in St Kilda, the Billie Brown Theatre in South Brisbane, and the Brisbane Power House. The Empire is the jewel in the crown of the Toowoomba Regional Arts and Community Centre (TRACC) complex. The BEC team were asked to provide an urgent forensic investigation into a concrete slab in Banksia Beach which was exhibiting slab edge dampness. Upon noticing the issue, the builders contacted the concrete supplier giving them five days to respond identifying the cause of the concrete issue, rectification plans for the issue at hand, and prevention measures for future sites. At this point BE Collective was engaged to provide a third-party expert assessment and forensic investigation. Our team undertook a site inspection, reviewed existing design elements and site conditions. Our report found that a contributing cause of the slab edge dampness was ‘salt attack’ due to the proximity to a large body of salt water. Other contributing factors included environmental and construction issues. 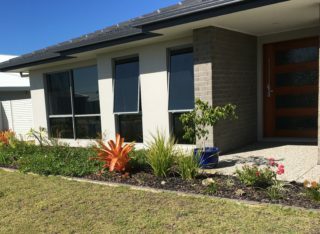 Our report also covered suggested remediation action for this specific case, and preventative measures for the builders to take to ensure it doesn’t happen again. The Bubbling Springs Landscape Masterplan is a proposed eco-tourism site covering 11,000 Acres and accommodating approximately 290 people. 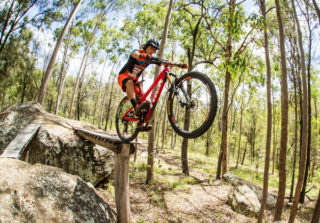 The development will provide facilities to the Hidden Vale Adventure Park which is primarily mountain biking and trail running. The development is to be based on sustainable principles to minimise impact on the natural landscape while aiming to maximise the natural, educational and cultural values of the existing environment. Following an information request from Council, Spicers Retreats reached out to us. BEC’s provision included Design and Documentation for an emergency Generator and associated fuel storage; Handling of Flammable and Combustible Liquids; maintaining the functional use of the proposed Wastewater Treatment Systems; Cold Storage for the Café/ Restaurant; and the location of generators and pumps for water reticulation for water supplies. We designed all documentation to include appropriate offsets and clearances for remnant bushland/vegetation.